YOOP Architects announce the handover of keys for an affordable housing project in Boxtree, Harrow. 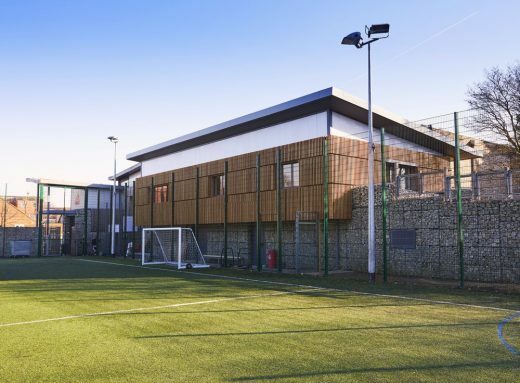 The development was built according to a demanding brief from the Origin Housing Group, whose priorities include reducing fuel poverty in the borough; they also wanted the finished housing to provide privacy and security in this challenging corner position. 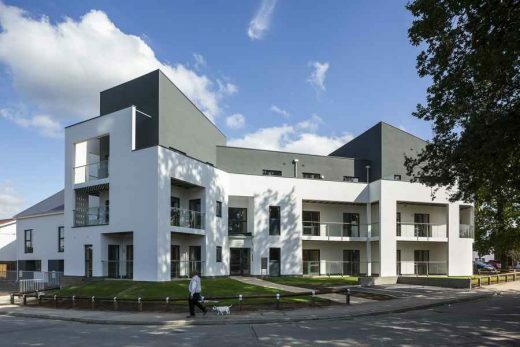 YOOP Architects’ design used a ‘fabric first’ approach, which concentrates on ensuring the building is as well insulated as possible, and reduces the need for renewable energy sources such as photovoltaic panels and solar thermal panels – which would create another set of maintenance and cost for residents. In addition to the thermal insulation properties of the walls, the building features a continuous ventilation system that uses outgoing air to heat incoming air. Providing privacy and private amenity space was also a priority for the development, and YOOP achieved this by wrapping a generous balcony around the building and shielding the balcony space from public view using a high screen wall, to provide each flat has its own external amenity and storage space. The Boxtree development is sited in a corner position, in the site of the derelict and vandalised Box Tree public house. 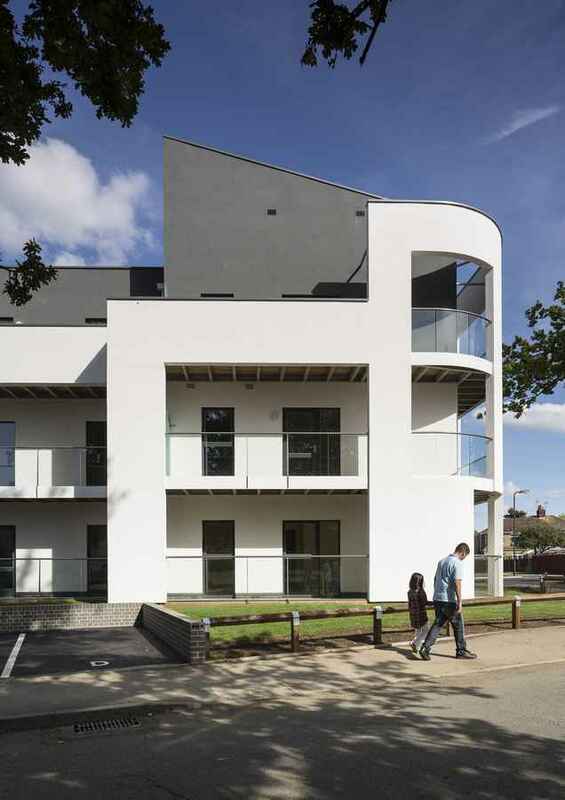 The design used this corner position to great effect: all the flats and houses are dual aspect, all the rooms have windows including kitchens and bathrooms, and the four houses in the development have access to a secure and private communal garden. The development has 14 dwellings of mixed sizes, and provides flexible accommodation, which will be available on shared ownership basis. In addition to four houses, the development has a six-bedroom flat, which is quite unique in London. 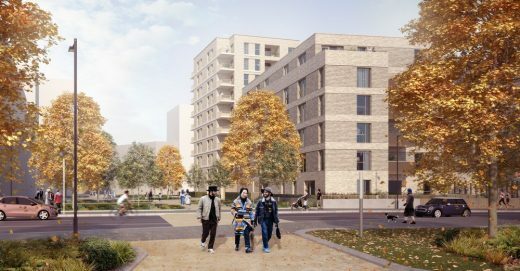 It has a generous terrace to the front, a private garden space to the rear, and a layout that has been designed for easy conversion to 2x two bedroom flats should the six-bedroom layout no longer be required. 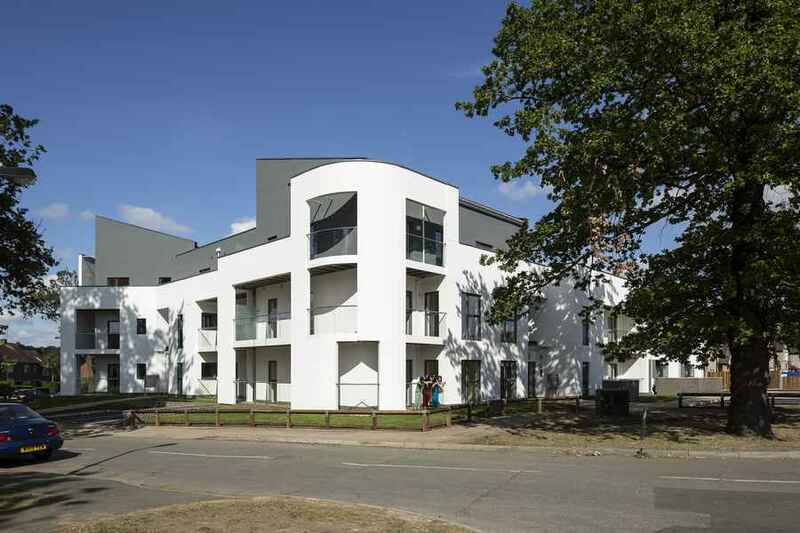 It also contains nine flats with private balconies. YOOP Architects handled the design, construction and liaison with local residents and community police. The build cost was approximately £1.8 million. YOOP Architects (www.YOOParchitects.co.uk) is a London-based architectural practice that specialises in delivering a seamless approach to commercial and domestic building.